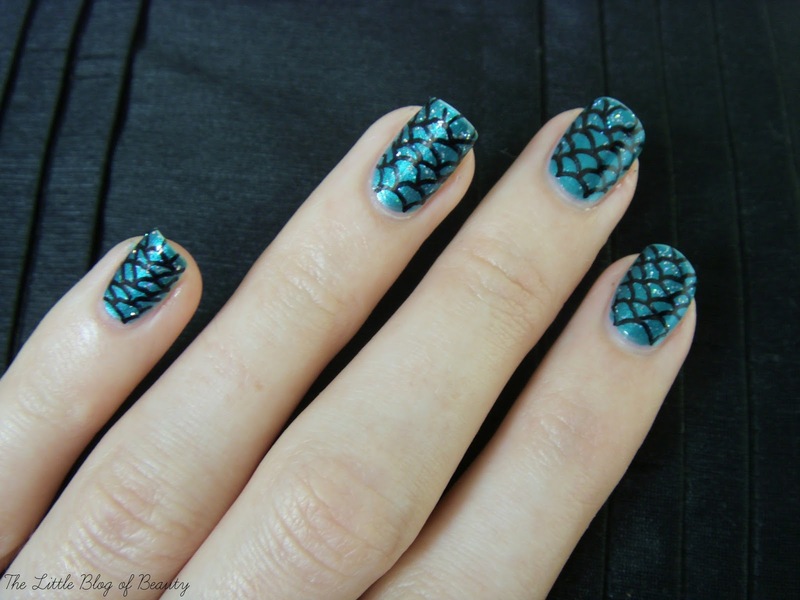 I was recently contacted by Quiz clothing to let me know about their 'Dress your nails' nail art competition. 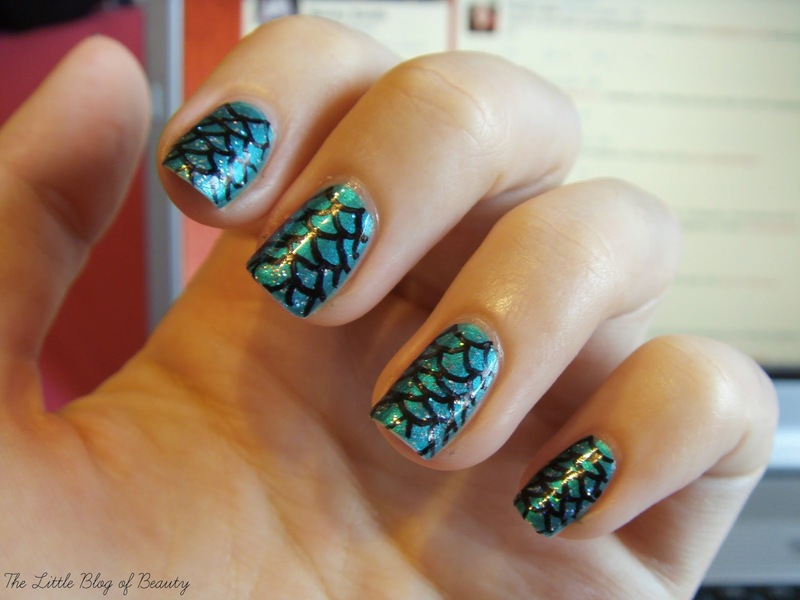 The idea is you design a nail art look based on one of Quiz's dresses. I don't normally enter blogging competitions, but creating nail art based on something that has inspired me is one of my favourite things to do, so I thought why not! The first look I wanted to go for I had to abandon when I discovered a very similar design had been created as promotion for the competition. Then I came across a dress that made me think 'oh yes'! 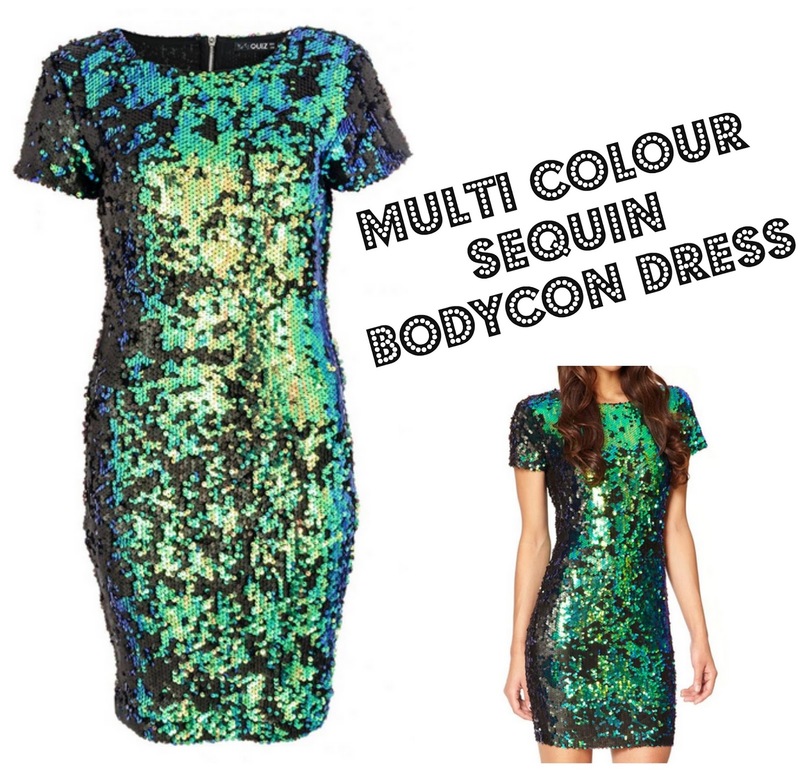 The Multi colour sequin bodycon dress isn't the sort of dress I would personally wear, but as soon as I saw it the first thing I thought of was a mermaids tail. 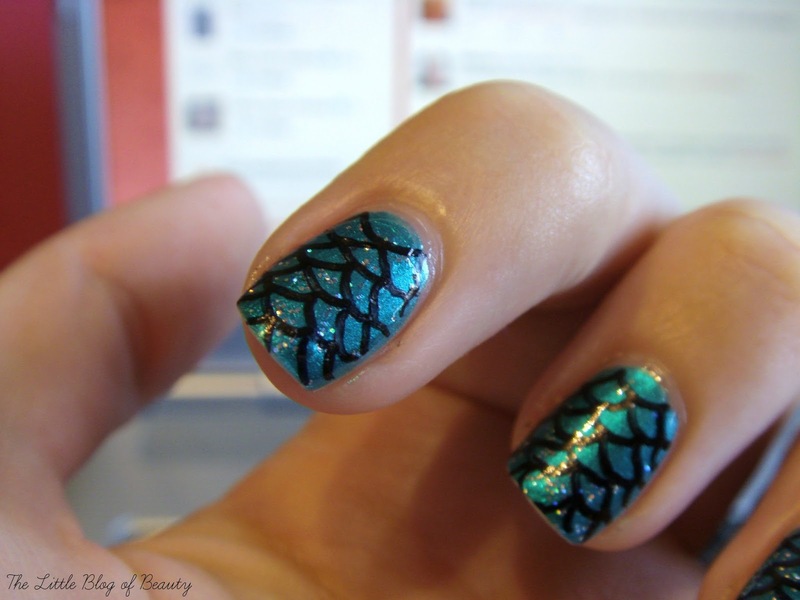 I've previously created a mermaid tail look, so I thought I'd recreate it based on this dress. For the base I used Rimmel's 60 seconds in Green with envy as this is a gorgeous emerald green shade containing green shimmer. Unfortunately my camera likes to change blues and greens, so this is darker and greener than shows in my photos. To make the base a bit more obviously shimmery, a bit more like sequins, I added one coat of Ciate's Confetti, which is a clear varnish containing silver multi coloured holographic glitter that twinkles all the colours of the rainbow. To set the base and make a smooth surface over the top of the glitter I then applied a top coat. I then took a black Sharpie and drew on the scales (and went a bit wonky in a few places!) before leaving this to dry and then sealing the whole thing again with another layer of top coat. If you'd like to enter the Dress your nails competition all you need to do is pick a Quiz dress that inspires you, create your design and post a picture of your nails on your blog along with your chosen dress. You then either tweet or email the link to your post to Quiz and you'll be entered into the competition. You can find the full details of how to enter here. There are £100, £50 and £25 Quiz vouchers up for grabs as well as a Beauty UK goody bag worth £25. Be quick though as you only have until the 30th November to submit your design.